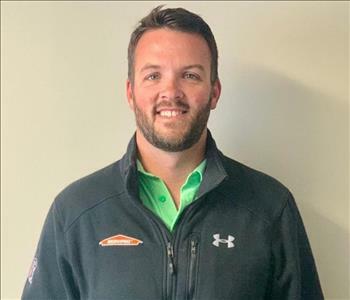 Chad is our General Manager of SERVPRO of St Mary's and Calvert Counties. 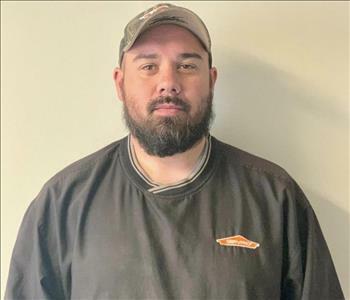 He has been with the company for the past 18 years and became full time 11 years ago after graduating with a Bachelors Degree in Communications, from Lynchburg University. 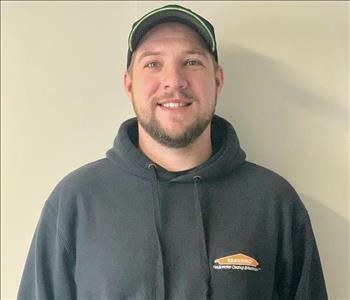 Chad has worked in all areas of the company; on the trucks as a laborer to marketing and working his way to become the GM. His favorite part of his job is all the wonderful people he gets to work with. As well as the relations he has made out of the office. Outside of work, Chad loves to hang out on his family farm, hunt, fish and spend time with wonderful wife and three children. Frank is one of our Production Managers. 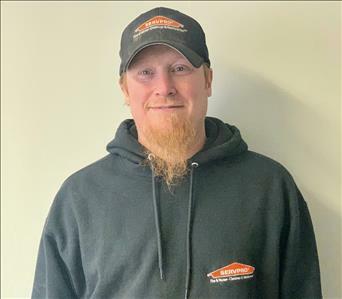 He has been with our franchise for 28 years and is a jack of all trades he is certified in fire, water, smoke and mold remediation. He does carpet and upholstery cleaning, crime scene clean-up and deodorization processes. 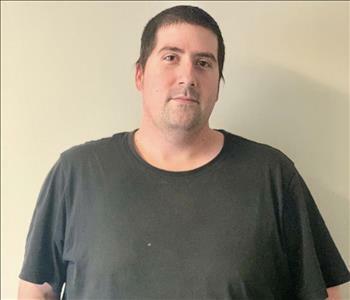 Frank attributes his loyalty to the franchise for 28 years because he loves what he does and gets true sense of purpose in life by helping others in their time of need. Eddy has been with our company for 22 years working as a Production Manager. 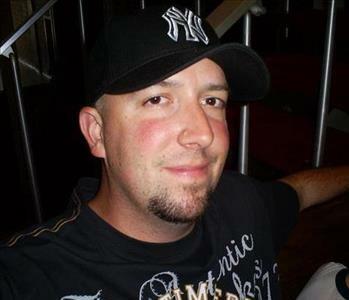 Todd Vail is one of our Production Managers. 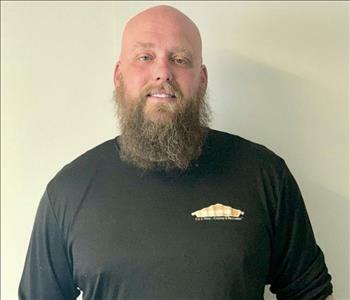 He has been with our franchise for 14 years, he specializes in water and fire restoration, mold remediation and crime/trauma scene clean-up. He works directly with CleanSpace, our crawl space incapsulation system and has become quite the expert on it. 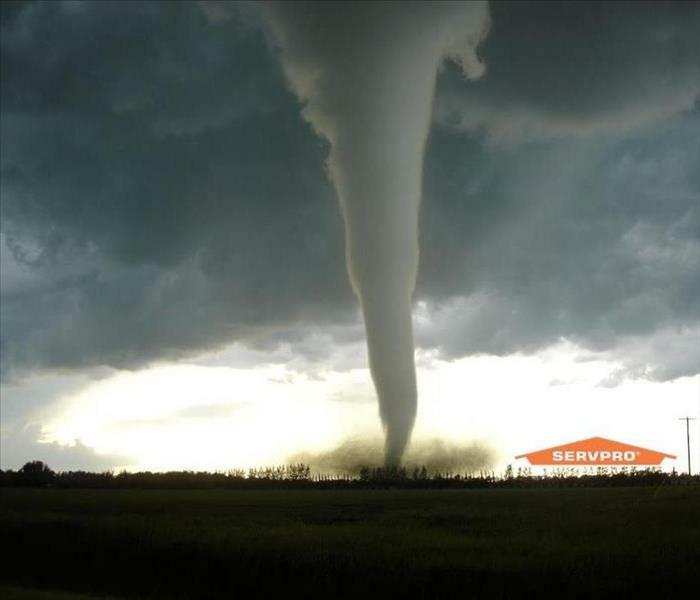 He likes working for SERVPRO because of the variety of tasks he performs, everyday is something different. 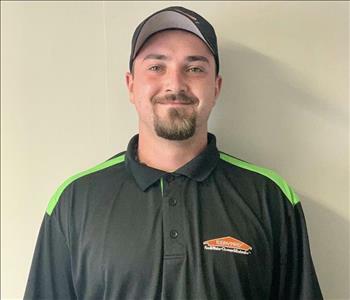 Robby Crawford is the Facilities Manager and Customer Service for SERVPRO of St. Mary's and Calvert and has been with SERVPRO for 9 years. His favorite parts of his job are solving problems and providing our customers with all the help the need. Outside of work Robby enjoys spending time with his family. 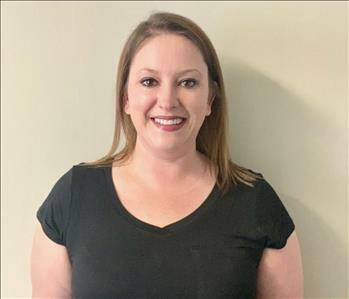 Kelley is our Office Manager and has been with us for 8 years. If it were not for Kelley and all she does, our office would not function. She has a degree in Business Administration with a minor in Human Resources from the University of Maryland. Kelley is also water damage certified by the IICRC and is able to help the crew during water damages. When she is not working or playing "taxi" for her three children, Kelley enjoys watching and going to Captials games. 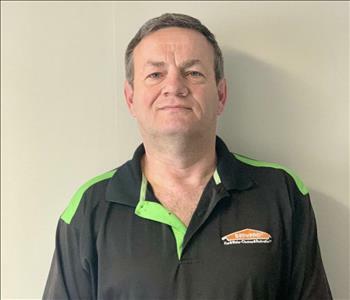 Richard Kline has been with our franchise for 8 years and is one of our production managers. Richard specializes in water and fire restoration as well as carpet cleaning. He started with our franchise as a production technician and within five years graduated to the position of production manager. He likes that he gets to be someone's hero when disaster strikes and that he gets to deal with something different everyday. Tracy is our Job Coordinator and has been with us for over two years. 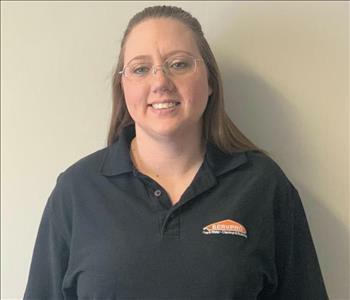 She was borned and raised in Calvert County and has a very good connection with the community. Her favorite part about her job is all the people she get to work with. When Tracy is not here at the office, she loves to read a good book, spend time with her family and watch sports! Beth is our Accounting Clerk and has been with us for a little over a year. She is orginially from Baltimore but graduated from St. Mary's College of Maryland and holds a Bachelors of Arts degree with a double major in Political Science and Public Polcy. After graudating she moved out of the area but her husband nor herself seemed to be able to let go of their fondness for St. Mary's County. After her husband and herself had their daughter, they moved back. 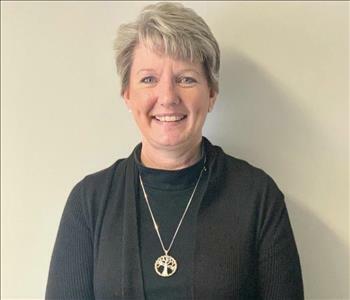 Beth enjoys to travel, volunteering at Sotterly Plantation, spending time on the water with her family on their boat and walking the trials of Southern Maryland with their dog, Otis. Pat has been with for the past year working as our Constuction Manager. Jon is one of our Production Technicians who has been with is for 2 years. 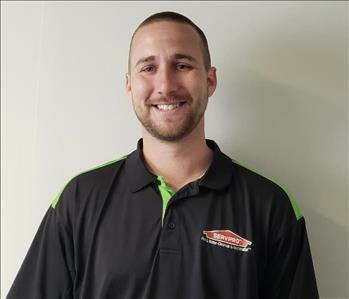 Getting to work with fun and enjoyable people is his favorite part about working at SERVPRO. In his free time he likes to a lot of jiu jitsu and martial arts. Shannon is another one of our Production Technicians. He started working for us at the beginning of the year. Getting to work with such great people here at SERVPRO is why he loves his job. Shannon enjoys spending his free time doing anything that involves being outside. Thomas has been with us for 3 years working as one of our Production Technicians. The people here at SERVPRO are the reason he loves coming to work every day. If you do not see him in a SERVPRO shirt you can be sure to see him wearing a NHL shirt watching hockey. 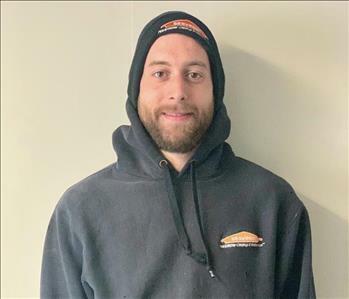 Ryan is one of our Production Technician and has been the company for a little over 2 years. His favorite part about SERVPRO is that every one is really close with eachother. If Ryan is not working he loves to be on the water kayaking or catching up on his sleep! Joey is one of our Production Technicians and has been with us since the beginning of the year. 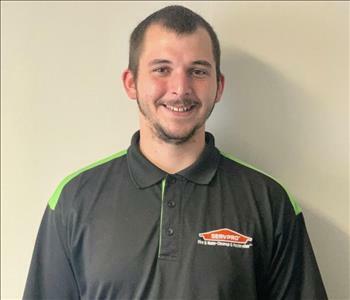 Joey loves working at SERVPRO because every day there is a different job. He never shows up to work expecting to do the same thing as the day before. If Joey is not working you can be sure to find him outside, hunting and fishing. Scott is another one of our Production Managers. 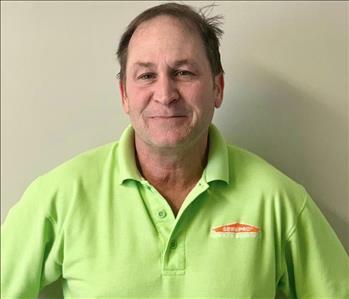 He has been with SERVPRO of St. Mary's and Calvert Counties for 9 years.